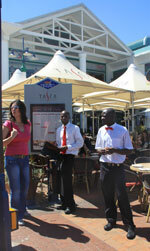 Cape Town, South Africa's mother city, is home to the DA party and cosmopolitan peoples. Housing the South African parliament, fishing, tourism, wine, fruit, finance, commerce and textiles make this mostly urban province buzz. The climate and lifestyle of the Western Cape are Mediterranean making it feel like a floating pleasure island. The long summer days mean late sunset dinners and early sunrise exercise on the beach or promenade to start your day. Everyone in Cape Town appreciates their surroundings and the weekends are bustling with traffic and voices and markets, wine tasting and fun. “There was no close parallel to the miraculous thing that happened at the cape called Good Hope. In 1488 Captain Bartholomew Dias in a Portuguese caravel rounded this cape, which he considered to be the southernmost point of Africa, and he proposed going all the way to India, but like other captains before and after, he found his crew afraid and was forced by their near-mutiny to turn back. So begins the third chapter of The Covenant by James A. Mitchener and by the time one gets to the final paragraph, one has eagerly learnt more about South Africa’s history than any museum or text book could teach one! The best way to find out more about the Western Cape is to visit first hand. 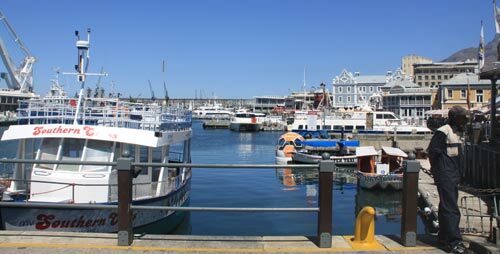 Many people visit and fall in love with the Western Cape and retire here to 'the pleasant and easy life' they discover.